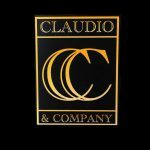 Headquartered in Morgantown, West Virginia — Claudio and Company specializes in offering CPA and EA services in accounting, tax, and advisory services for individuals and small business organizations. Work For Claudio and Company? Claim This Page.